Feel as if you really are at sea with Pirate’s Cove. 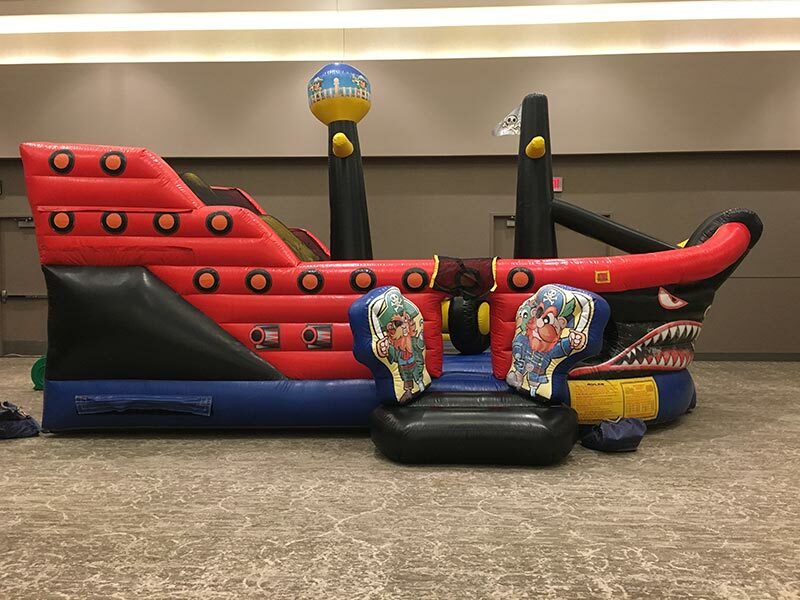 Protect your ship with an inflatable cannon, race to the stern by sliding down the slide and jump and down for joy as you claim victory! Let your little swashbucklers munch on POPCORN and SNOW CONES at your party this year. You may also be interested in our FUN HOUSE or the SUPER HERO inflatables. Even though our business is fun, we always take safety seriously. Fun Services staff is licensed and fully insured. So, you can expect to receive quality, professional service with every rental from Fun Services of Nebraska and Iowa.